What Does Jeremiah 30:7 Mean? Well, in the beginning, Adam (God's first-born son) was created to rule the world under God's authority. 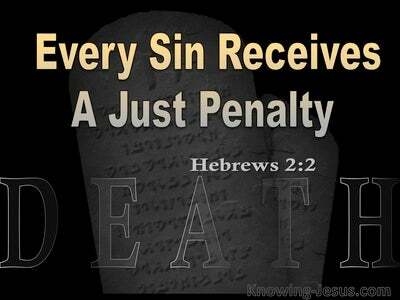 But Adam sinned, causing the entire human race to be placed under condemnation of death - for the wages of sin is death. But God in His grace formed a plan to redeem the world, but He needed a true witness. In His grace, God chose Israel to be His special tool to circumnavigate this fallen world system. Israel was chosen to be God's witnesses to a lost and dying world and to tell forth the wonders of His name to the gentile nations. From its formation.. Israel in particular, and the gentile nations in general forsook the truth they knew from the beginning, and turned their backs on the God Who created them. All were descended from Adam and all know the truth - but they all turned from the true and living God to worship idols of wood, images of stone and false god's who usurped the sovereign Lord. Israel was chosen, out of the sea of humanity, to be God's people. They were chosen as His first-born adopted son, who would tell abroad the honours of His name to the gentile nations. The nation of Israel was not only a chosen, but adopted as God's son at Mt. Sinai, when He gave Israel the law and made a conditional covenant with them.. if you listen to.. and obey My voice, and walk in the whole way that I command you, declared the Lord, I will be your God and you will be My people, that it may be well with you. Well, Israel forsook the Lord. They turned their back on God and broke their covenant, which required God to punish His people. They were taken captive by the Babylonians for 70 years, but God in His grace promised to make a new covenant with Israel, by sending JESUS, His Only Begotten, First-Born Son into the world. 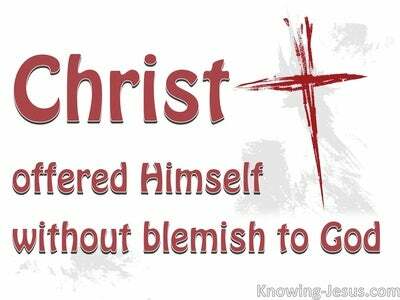 Indeed, He was incarnate God and the Word made flesh.. . God gave His Son into the world, to pay the price for humanities sins. But Israel rejected Him and crucified their Messiah, and once again the nation was dispersed to the four corners of the world. Today, they continue to wait for the return of the self-same Saviour.. they rejected 2000 years ago. However, although His nation was faithless towards Him, God remained faithful.. and in His grace, He promised to regather the scattered people of Israel and Judah, back to the land of Israel, where each tribe will each receive the inheritance that was promised to their fore-fathers Abraham, Isaac and Jacob - but, which had to be postponed, because they rejected Christ, 2000 years ago. The new covenant, that was promised to Israel, was cut at Calvary, through the shed blood of Jesus, their promised Messiah and King. But their rejection of Christ caused His kingdom to once more be postponed, during the Church dispensation - and Israel was set aside, for a season. As members of Christ's Body, we are His first-born.. soon-to-be-adopted sons, who will be taken into heaven before that terrible time of Jacob's trouble - the great tribulation - the 70th week of Daniel - the day of the Lord - the time of thick darkness and deep destress - 'The Time Of Jacob's Trouble'. BUT God in His grace has promised that His people, Israel, will be saved out of it.. and has promised that ALL who call on the name of the Lord will be saved. 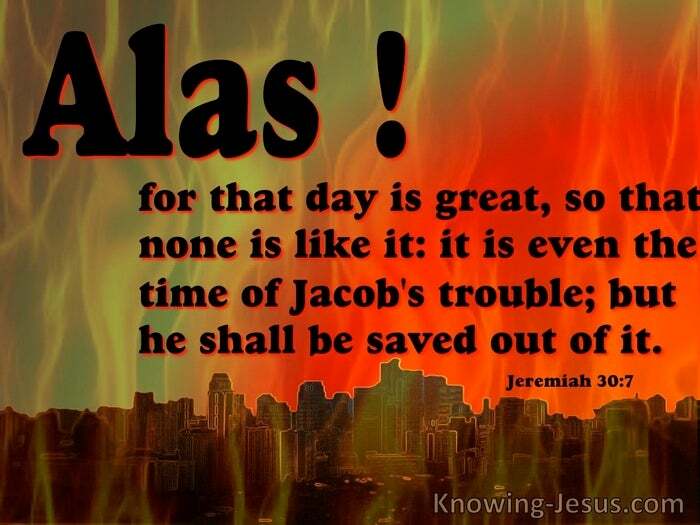 Israel will call on the Lord in the day of distress. 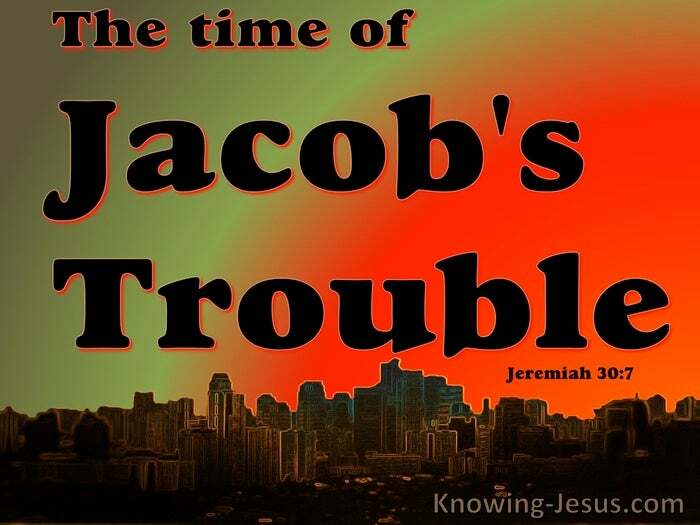 They will cry out to God in the time of Jacob's trouble, and Jesus will return to save His people from their sin and set up His promised millennial kingdom on earth. Israel, God's first-born adopted son, will be saved from their sin, by Jesus Christ - God's Only Begotten First-Born Son. 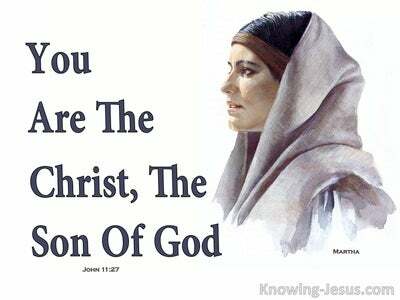 He is the Word made flesh.. the incarnate God; the promised Messiah - the King of Israel and Saviour of the world. Praise God that we have already been saved by grace through faith in Christ. And we.. who by faith 'have the first fruits of the Spirit.. are eagerly waiting for our adoption as sons - the redemption of our body.' Indeed, as Paul writes in Romans 8: For we know that the whole creation groans and suffers the pains of childbirth together until now. And not only this, but we ourselves, having the first fruits of the Spirit, even we ourselves groan within ourselves, waiting eagerly for our adoption as sons - the redemption of our body. Heavenly Father, thank You for Your amazing plan of redemption. Thank You that although Adam sinned and Israel failed, You sent Jesus to be pay the price for our sin and failure. Thank You that by faith in Him we have an inheritance that is kept for us in heaven and thank You that Israel will one day receive the earthly inheritance, that You promised to Abraham, Isaac, Jacob and Israel - thank You, in Jesus name, AMEN.